The Tarot FPV space through the machine gives a new visual experience to quad racing. The overall design has the usual Tarot features of smooth design making it glide through the air due to excellent aerodynamics. The smooth PET Smart shell comes in a variety of eye-catching colors. The cover comes in a hinged, easy opening design with quick release. This allows for easy access to the electronics. 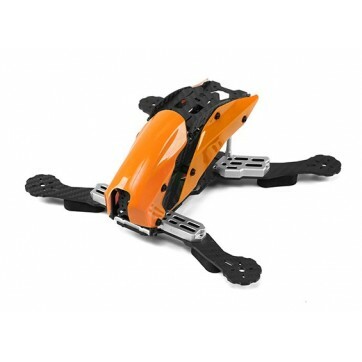 2.5mm carbon fiber arms mount easily to the frame with Tenon aluminum ESC protection covers for extra strength. The FPV camera mount is easily adjusted. This is one cool looking multirotor!